Every year the wedding season brings a storm of new style and trends. From clothes to hairstyles to colours, each wedding season brings news trends that become viral on the internet. 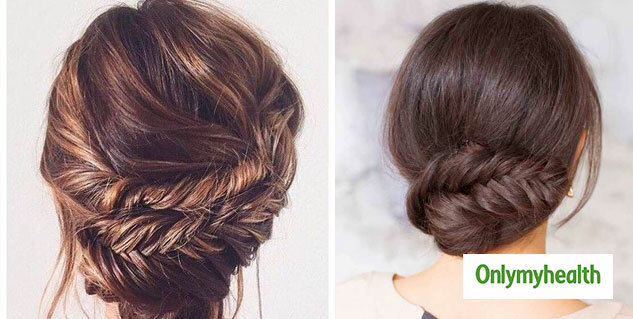 When it comes to hairstyles a braid bun can never go out style. It can match with your every outfit and will make you look like a diva at the same time. 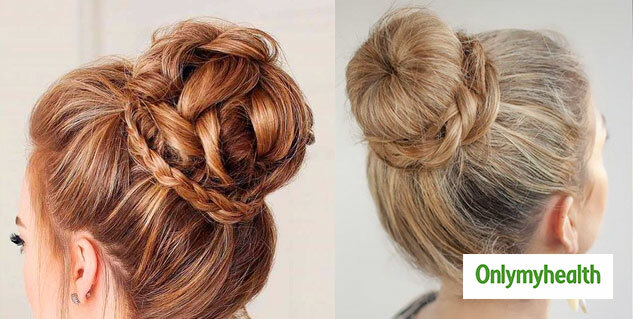 A braid bun will also not require too much efforts. You can make them effortlessly. Just a few hair accessories or flowers can take your bun to another level and you will get a lot of attention definitely. 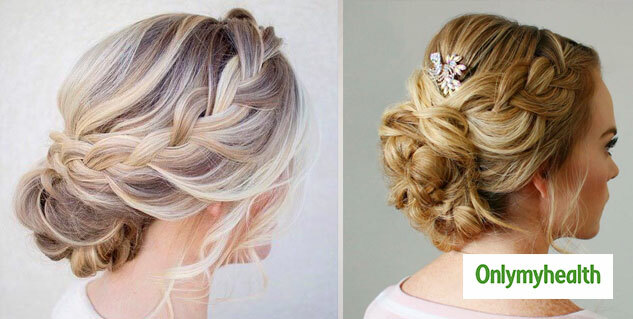 Here are some braid buns which you can try this wedding season which will compliment your look. A french braid bun looks extremely classy. It is also very easy to make. You have to start with making a french braid from one side to the other end where you want your bun. Make a messy bun at the end. You can also accessorise your bun with flowers or other hairpins. For a top braid bun, you need to make a top bun as usual and keep one section of the hair apart. Now make a braid of that section. 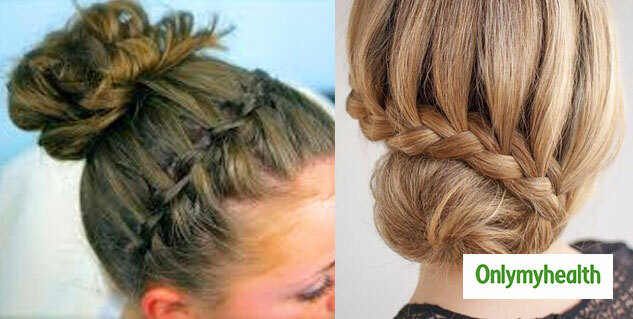 Now all you need to do is wrap the braid around your bun and fix it with a pin. You can also use small hair accessories to make it look more stylish. If you want to keep it simple leave it like that only and you are good to go. A fishtail is a very nicely placed arrangement of hair. For a fishtail bun, you need to make a fishtail first and then convert it into a bun. Do not make a neat bun. Keep it loose and messy. You can take out some hair in the front to make it look more beautiful. Also, make sure that your hair in the front is not tightly braided, keep them loose. Waterfall braid can never go out of style. It is a precise arrangement of a lot of twists and turns which are nicely arranged. You can start by making a waterfall braid. You can make a waterfall braid like a hair band or at one side of your head or simply at the back. After making the braid you can fix it with a pin and then make a bun. You can make a side bun or in the center according to your choice. 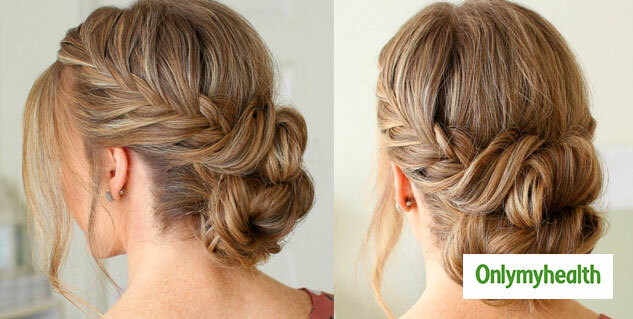 A Dutch braid bun can make you look fabulous. It is also easy to make and you can try it on different outfits. You have to start with making a dutch braid from the front to the back of your head. Once you are done with the braid, make a low bun. A perfect hairstyle can be a big confusion. But a braid bun can make your work easy. 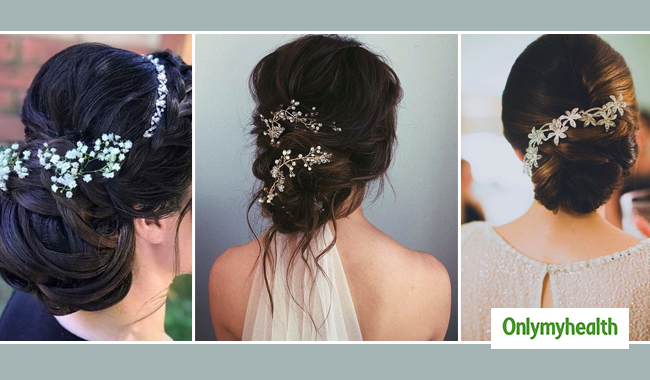 Try these hairstyles this wedding season and grab everyone's attention.